Top 5 Books We Want to Read in 2017! This week’s Top 5 Wednesday topic was perfect for us today because at the moment, we’re trying to sort out our reading priorities for the end of 2016, and moving some of the best books on our TBR over to 2017 will definitely take the the pressure off! This is one of our favourite book-to-movie adaptations, and Bee’s been recommending it to me every time I’m stuck for something to read but it’s so long and I don’t want to feel like I have to rush through it, so 2017 will be the year I finally sit down and soak up The Host, at a leisurely pace! Everyone was talking about this book when it first came out because it was about writing and a teenage girl publishing a book, and that sounded awesome. I bought it straight away, read the first 50 pages, loved it and then put it down. Why? Who knows. Not next year though. Another book that I started reading and couldn’t get into, 2017 is like the year of second chances. I couldn’t keep the world straight in my head, but I really want to like this series because it’s slightly more adult and the author is from the UK, and I already own the second book! I’m so hyped for the movie to come out in 2017, starring Zoey Deutch, that I need to read the book to satisfy my need to see the movie right this second. I’ve loved all the Lauren Oliver I’ve read so far, and I’m really excited to go back to her debut novel and see how far she’s come! It’s been a while since I read my last Rick book, and I’d say I’m far enough away from the Heroes of Olympus series to not just dislike the new kid on the principle that he is not Percy or Annabeth or any of the other demigods I fell in love with. I know he’s also written The Trials of Apollo and I need to catch up with my old fave middle grade author before I fall completely out of the loop. First of, I would recommend you check out the Goodreads page for this book and look at all the different covers, because each one seems to market the book in a slightly different way, and now I have no idea what to expect from it! All I know is that the characters share surnames with the characters of The Crucible by Arthur Miller, and it’s about witches and that was intriguing enough for me to buy the whole series! I’m really excited to read this trilogy now that the final book The Winner’s Kiss came out this year! I’ve been waiting so I can binge them without any wait in between and from the reviews Maddie has already given the series, I think I was right to do so. The covers for this series are just outstanding and I’ve heard SO many good things, it’s about time I finally read them. This is another trilogy that Maddie has raved about, so I think you can see a pattern emerging. This list could’ve been made entirely from series that Maddie has completed and loved, but I limited myself to just the two. Maddie’s read quite a few of my series recommendations now, so I think I should take some of her recommendations seriously in return! Slated was actually one of the first books that she reviewed on this blog too, so the wait has been long enough! Sarah Crossan is such a diverse author. 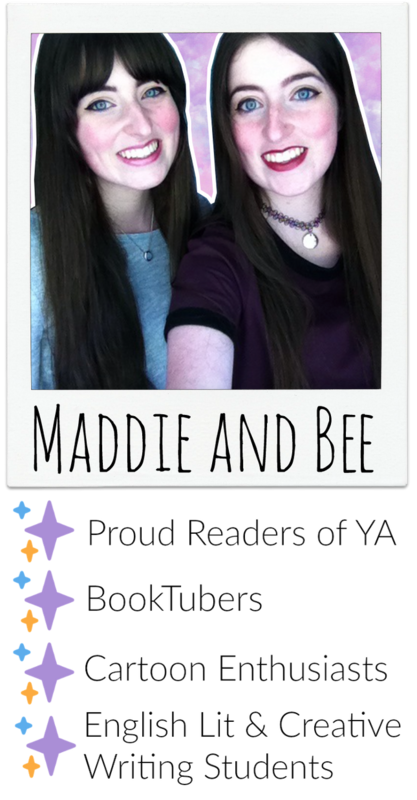 This year we both read the Breathe duology and loved it, and One has been nominated and won a few awards for being just so brilliant! It’s the story of conjoined twins, so I know it’s probably going to be a very emotional read for me, but Maddie and I are actually going to a reading and signing that Sarah Crossan is doing with the co-author of her next book We Come Apart, Brian Conaghan, so I definitely want to get it done by then, but I might even sneak it in before the end of this year, who knows! I have had this book on my TBR for what feels like forever, and I know it’s had some mixed reviews, but I’ve only been reading the positive ones! It’s the story of Emi and Ava who fall in love and that’s enough to make me desperate to read it!